Hair Salon to the Stars (Heidi Klum, Mary J. Blige, the Emmys, and the Oscars) and Working Class Alike Makes its Debut in West Hollywood. Taylor Rose Hair Studio, a Southern California hair salon in the Los Angeles area, is preparing to launch its West Hollywood location this November. 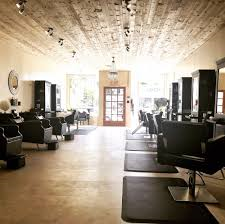 In the heart of West Hollywood, CA, Taylor Rose Hair Studio is all-inclusive, diverse, and specializes in all hair textures, treatments, and styles. Taylor Rose Hair Studio has worked on some of Hollywood’s biggest events—including backstage at the Oscars and the Emmys, as well as many celebrities such as Heidi Klum, Mary J. Blige, Chris Brown, among a list of others. Their mission is to do more than just style hair; but to also give all patrons a wholesome, friendly, calm, and invigorating experience. In the heart of West Hollywood, CA, Taylor Rose Hair Studio is all-inclusive, and specializes in all hair textures, treatments, and styles. Taylor Rose Hair Studio has worked on some of Hollywood’s biggest events—including backstage at the Oscars and the Emmys, and has worked with celebrities such as Heidi Klum, Mary J. Blige, Chris Brown, as well as a list of other celebrities. Their mission is to do more than just style hair; but to also give the patron a wholesome, friendly, calm, and invigorating experience. Belle Aire is Los Angeles-based EDM/Pop Music Artist signed to Franchise X Entertainment. Hailing from San Diego, she was immersed in the artistic realm early on and the universal love of music has been her driving force ever since.